A geyser spraying over 100 feet into the air is not just a fun sight on a summer vacation trip; it is also a natural exhibition of what is geothermal energy in action. Geothermal energy is a form of energy that is naturally created and stored in the earth. The earth’s core is incredibly hot – several thousand degrees, in fact – and that heat naturally radiates to the surface of the planet. It is possible to harness that energy for above ground applications, although some regions are more suitable than others for tapping into this source of natural power – especially on a large scale. Therefore, when discussing what is geothermal energy and how can it be applied to household use, there are a couple of options to consider. For smaller applications, the harnessing of what is geothermal energy can be a clean, renewable source of energy that is always available. According the U.S. Environmental Protection Agency (EPA) geothermal heat pumps are the most energy efficient and environmentally clean systems for temperature control. Natural hot springs have been used for centuries as a source of hot water and heating, but you probably don’t have one bubbling up in your back yard. That same source of energy that heats up the water in a hot spring is available and can be used for home heating purposes. Utilizing what is geothermal energy for home use is a fairly simple process. 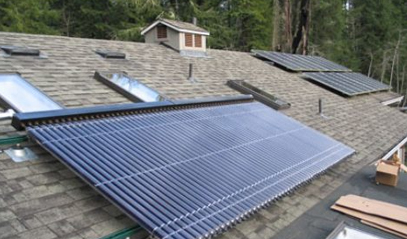 A closed loop system is the most common and economical way to capture the heat from the earth and transfer it into a home. This method uses coils that are placed into the ground either vertically or horizontally below the frost line where the temperature is always constant. 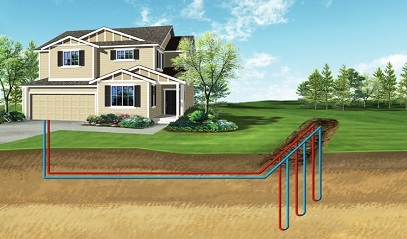 Water is drawn into the home and into a geothermal unit, which can be used for both heating and cooling purposes. The reduction in fuel costs and savings will eventually pay for the initial instillation costs and continue to provide low cost heating for the home. The big plus when using geothermal energy is that it does not require the use of fuel to power the system. Essentially, you are moving existing heat, not creating it. Getting started on a project that takes advantage of geothermal energy can be as simple as placing a call to a RESNET Qualified EnergySmart contractor. 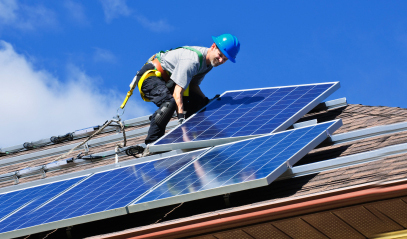 A RESNET certified professional will provide you with the information and services you need to create an energy efficient solution for your home. Taking advantage of a free energy source provided by Mother Nature in the form of geothermal energy will provide you with a constant supply of warmth and lower your utility costs all year long.